June – it’s right time to enjoy flowering of lavender. There are 39 species of lavender worldwide (all of the mint family of plants), but the two to look for in Provence are the intensely aromatic true lavender, which is the real thing and grows only above 700 meters (2,300 ft), and the less aromatic but equally attractive lavandin which grows throughout the region at the lower altitudes. True lavender is used for the most expensive perfumes, cosmetics, and fine honey. Lavandin is used to scent your laundry detergent and bathroom sprays. Win one of eight beautiful Statement necklaces like this with Giveaway on my Facebook. 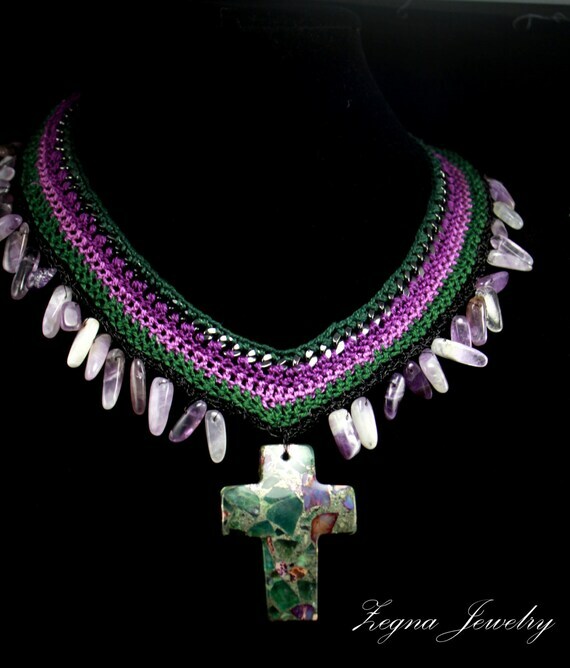 High fashion Statement crocheted necklace. Trendy, colorfull and unique. One of a kind! 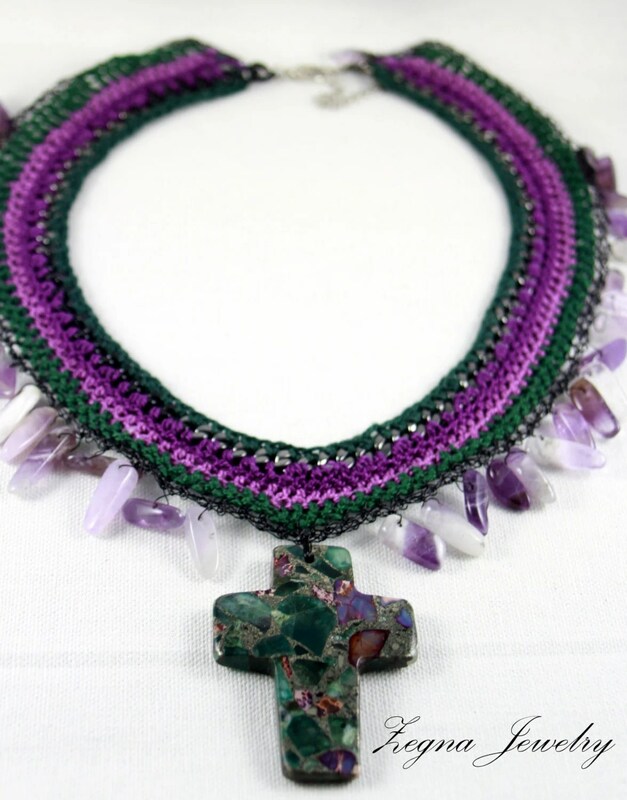 Materials: Pyrite fluorite cross pendant, amethyst teeth beads, 100% Egyptian cotton thread, chunky chain, black copper wire.